Do you have boys? If you do, you know this is true – even when your bathroom is sparkling clean, the “boy bathroom smell” will linger. Mopping is not enough. You need to eliminate the odor. Anna Mosely’s blog offers a recipe for getting rid of the boy bathroom smell, once and for all. There are 3 reasons I like this article. It’s simple. With only 3 ingredients and 3 steps, this is an easy recipe to implement. It’s green. At Sponge & Sparkle, we are committed to using non-toxic cleaning products whenever possible. Vinegar, baking soda, lemon juice – that’s all this cleaning recipe requires. It’s frugal. The ingredients shouldn’t cost you more than $3. To read the article, click here. You may also want to read the comments for cleaning ideas from other home owners. Did you know that the air inside your home can be much more polluted than the air outside, even if you change your air filters And chemical air fresheners only mask odors but do not eliminate them, and might be bad for your health. Several natural odor-eaters, such as white vinegar, baking soda, and coffee, will do the trick. These everyday products don’t just hide bad smells, they actually neutralize them. Not only are they inexpensive and environmentally friendly, but they really do work. If your house is persistently funky-smelling, first consider getting a thorough cleaning by a professional company. Make sure they use green and non-toxic cleaners rather than harsh chemicals such as bleach and ammonia. Routinely clean the garbage can with white vinegar and water. Then place about a tablespoon of coffee, a few cloves, and a tablespoon of baking soda in the center of a coffee filter or a piece of cheese cloth. Close with a twist tie to make a sachet, and put it at the bottom of the can to eliminate unpleasant odors. Keep the garbage disposal clean. Insert the sink stopper, fill with a few inches of hot water, add about 2 tablespoons of baking soda, turn on the disposal and immediately pull out the stopper. Keep the bathrooms fresh. Make your own non-toxic air freshener. Combine 2 cups of water, 1 tablespoon white vinegar, 1 teaspoon of baking soda, and about 10 drops of essential oil (your favorite scent) and put in a spray bottle to keep handy in the bathroom. There’s no need to spend money on air fresheners or perfumed cleaning products when you can keep your home fresh and clean using inexpensive, natural, non-toxic products. Vinegar and baking soda will defeat the funkiest odors. Try them—you’ll be glad! I always love to come home after they’ve been here cleaning. 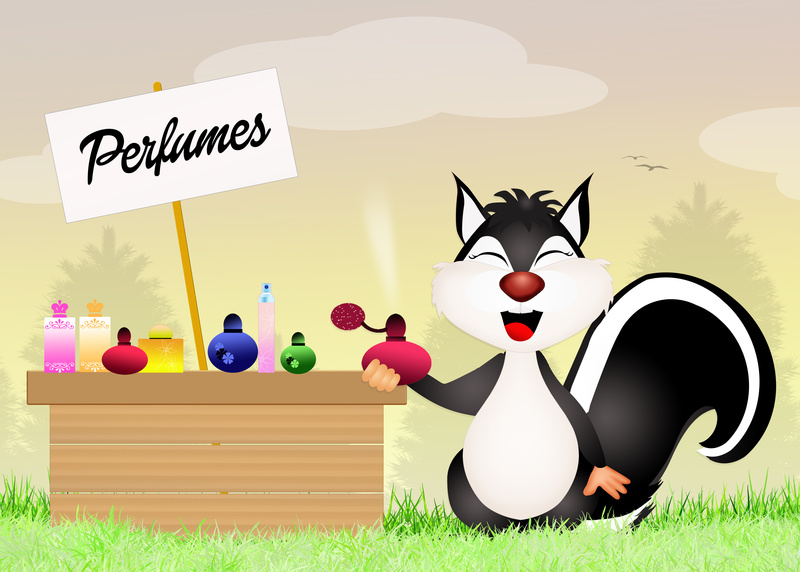 They use natural products that smell good and get the job done. Camille did a great job cleaning our house in Decatur last week! Everything looked and smelled terrific! My friend told me about her neighbor’s business and I jumped at the chance to find someone to clean my house. So every other week, two very nice, polite ladies come and keep my house in shape. My floors are clean, things get dusted and my sink and bathtub do’sparkle’. I feel safe leaving the house while they are there and feel like the cats will still be inside when I get back. The thing I like most is the clean smell that lingers after they leave and that they use organic products. But they will use my products if I ask. I would recommend a detail cleaning first, even if your house is cleaner than mine. I only have them come every other week but hope to have them weekly in the future. I am getting used to a clean house. I don’t have to worry about paying taxes or anything except paying a set fee. That’s great as well. 6 Tips for a Clean Bathroom – Fast! Here are a few ideas for not only getting your bathroom clean quickly, but also keeping it that way. Soap-scum, toothpaste goop and all matters of gunk can accumulate in nooks and crannies in the bathroom. The way to get around this is to prevent it in the first place by keeping your counter tops clear. Cleaning is a lot quicker if you do not have to move items around in order to clean. As you finish your shower, get in the habit of giving every surface a quick wipe down. It takes less than a minute and leaves your bathroom cleaner over the long term. One of the biggest time wasters is having to search for items when it is time to clean. Save yourself the trouble by collecting all of your bathroom cleaning supplies and tools before you get started. Eliminate the need to backtrack to clean an area more than once by working from top to bottom. If possible, spray the areas that need a little bit of “elbow grease” first. As you work in other areas, you will give the cleaning products time to work on stains. Read the instructions to make sure you don’t let the products “sit” beyond the recommended time. Last but not least – the quickest way to get your bathroom clean is to hire a professional Atlanta maid service. A professional service has the expertise, tools and equipment to get all of the nooks, crevices and crannies cleaned. Having a service come in two or three times a month keeps the mess at bay.Here are some reviews from our long-term customers. 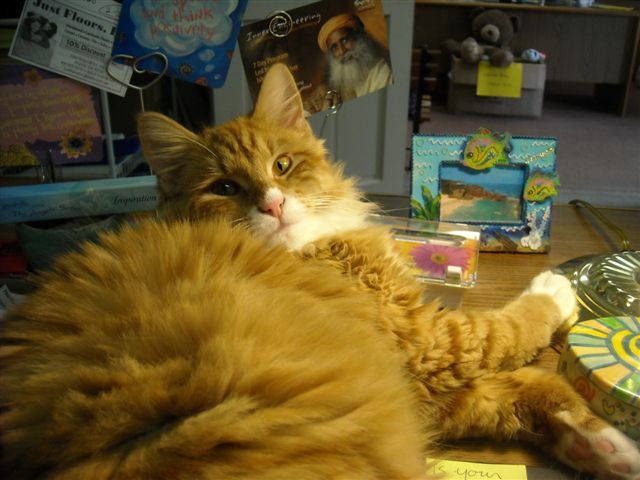 Sponge & Sparkle has been cleaning my office and home for over fifteen years and always does an excellent job. I can recommend them without reservation. We have had Sponge & Sparkle for a few years now and I am a fussy homeowner. They do a fantastic job–coming home after a hard week, it is so wonderful to have everything so clean it sparkles. Baseboards, blinds, all the surfaces are spotless. And they come on time every time. Great cleaning service. My daughters says it best … I love to come home every other Wednesday! S & S do a wonderful job on our home and treat our things like they were their own. 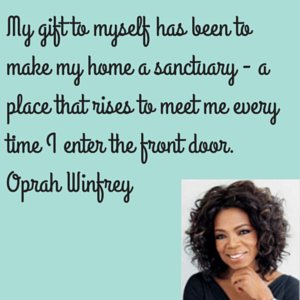 Having a clean home not only holds amazing benefits, it is vitally important to a sense of self worth. Following these 5 steps will help you to get there. Making your bed takes, at most, 2 minutes and can really go a long way towards giving you a feeling of serenity. On the other hand, since the bed is probably the largest piece of furniture in your bedroom, having it untidy and messy is guaranteed to raise your stress level. Even if your day is hectic, at least you can look forward to a tidy, serene bedroom at the end of the day. Doesn’t the thought of it just ease the stress out of your body? Do this exercise for 10 days, and I guarantee you will be on your way to a much cleaner home. Watch your hands – every single time you put something down, ask yourself if you are placing the item in its proper place. If the answer is no, make sure you put it where it belongs. 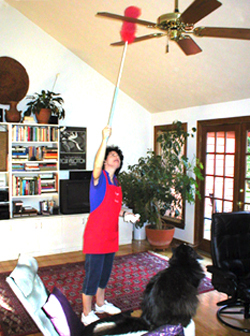 After 10 – 14 days performing this new exercise, you will find your home getting cleaner, almost as if by magic. Get a jump on your resolution – start with a clean slate. This simple step will make achieving your goal of a clean home much easier. By hiring a professional cleaning service to provide a detail clean, you will quickly gain traction on your New Year’s resolution. Clutter attracts dust bunnies. If you find the thought of cleaning clutter intimidating, do not attempt it all at once. Instead, work on one room for 15 minutes at a time. Steady, consistent progress is infinitely better than no progress at all. Need help clearing your closet? Click here for our closet clearing tips. Here’s a quick question to help you decide if you need to keep or toss an item: “Is it beautiful or useful?” If the answer to is no, this item should be removed as soon as possible. Assign it to one of the following three categories: garbage, charity, or sale. 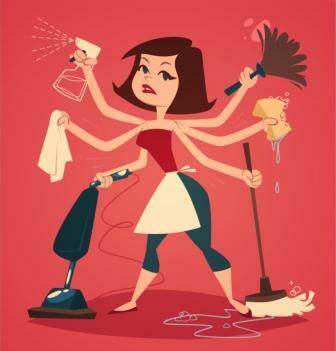 Studies show that each of us spends, on average, 685 hours each year cleaning. That’s almost an entire month! One option for maintaining a clean home is to hire a house cleaning service for bi-weekly cleanings. If you’d rather do it yourself, learn to clean faster. By learning how to speed up the process, you will save untold hours and reduce your aggravation and frustration. Put these 5 steps into practice, and you will find yourself in a cleaner home before you know it. One of the 8 keys to a clean home is to get your children to help. While some children are more eager to clean than others, getting them to clean does not have to involve a tug-of-war. 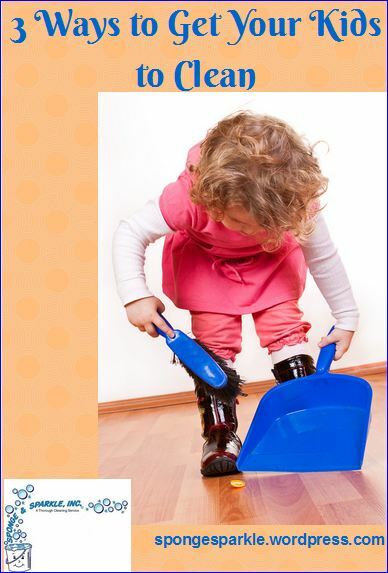 Here are 3 ways to get the kids to help with cleaning. Think a toddler is too young to help? Think again. In her Growing a Jeweled Rose blog, Crystal Underwood lists 17 household chores that are a right fit for a toddler. You’ll be surprised to find that your children, especially the younger ones, find some house cleaning chores fun. It helps them feel as if they are “big” to be able to help Mom and Dad. Find other ways to make house cleaning chores a game. Create a reward system to encourage good work. Be creative. Rewards don’t have to be money, they can be fun outings or treats. There’s no reason you have to shoulder the entire burden of a clean home. In addition to hiring a professional cleaning service, get the kids to pitch in. After all, they live there too! I’m talking about our cats and dogs, of course. It is possible to have the best of both worlds – the joy of having pets and a clean, nice smelling home. The best way to not have shed hair all over the place is to prevent it from happening. Regular baths and brushing will do the trick. When your dog or cat has an “accident” they mark the spot as a safe place to “do their business.” What this means for you is that as long as their sensitive noses can pick up a whiff of a scent, they will return to the area again and again. To prevent repeat accidents, have the area deeply cleaned as soon as possible. Do not let dirt and dander pile up. If you have cats, clean the litter box frequently. You can go low tech (and low cost) by using a bag as a liner so that the “mess” does not leave a lingering smell, or purchase one of the higher end litter box systems. Wonderful Staff – They have done a great job every time. We have had multiple different people clean our house and they all are so friendly to us and our cats! I would highly recommend them. Most of us do a good job cleaning the large surfaces in our home. Are you sure you are getting all of the germs? Here are a few of the surprising places where germs lurk and thrive. Given the variety of things you keep in your kitchen sink, it’s no wonder it is one of the dirtiest places on your home. Make sure it is clean and dry. The combination of moisture and heat in your bathroom is a breeding ground for germs. In addition, the spray when you flush the toilet can stick around in your bathroom for up to 2 hours. So, keep the lid on your commode when you flush the toilet, make sure your toothbrush gets dry, and replace your toothbrush every 90 days. Door knobs, oven knobs, kitchen cabinet knobs are all places were germs congregate. On at least a weekly basis, wipe down all of these areas. Considering the number of times (and the number of hands) on the remote control, a daily wipe down is not a bad idea. Your computer’s keyboard could also benefit from a daily wipe down. Clean between the keys with a qtip dipped in a little bit of alcohol. Remember to make sure your bathtub is completely dry after you clean it. 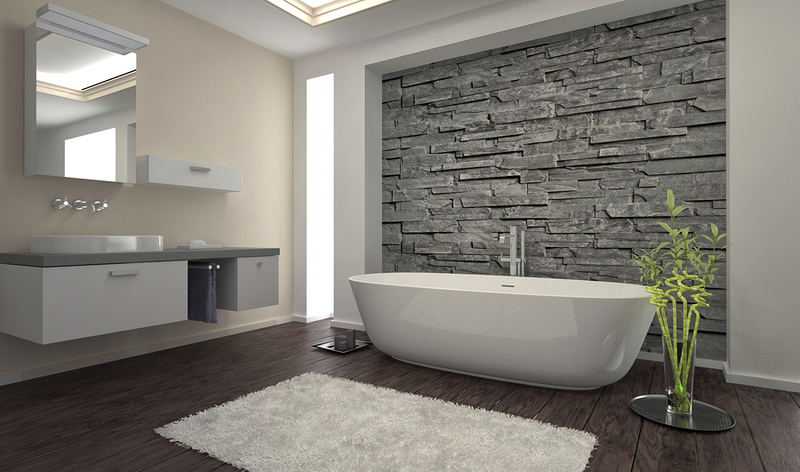 If you have a whirlpool tub, disinfect it monthly following the manufacturer’s instructions. Here are a few more places where germs lurk. Your Coffee Maker’s Water Reservoir. Is your home in need of a deep, detailed cleaning? Call us at (404) 633-9652 or contact us for a quote. Baseboard, Blinds, all the Surfaces are Spotless. Walking into my house after Sponge & Sparkle had cleaned it was fantastic! They cleaned every nook and cranny, steamed the cabinets, got the cobwebs from our vaulted ceilings – even set my daughters doll on a pillow with a blanket. These folks care about what they do and it shows! They do a fantastic job, are reliable, honest and a pleasure to work with. My house was a mess and they fixed it! Well, it’s that time of the year again – Spring! Do you feel the need to throw open the windows and let the fresh air in? 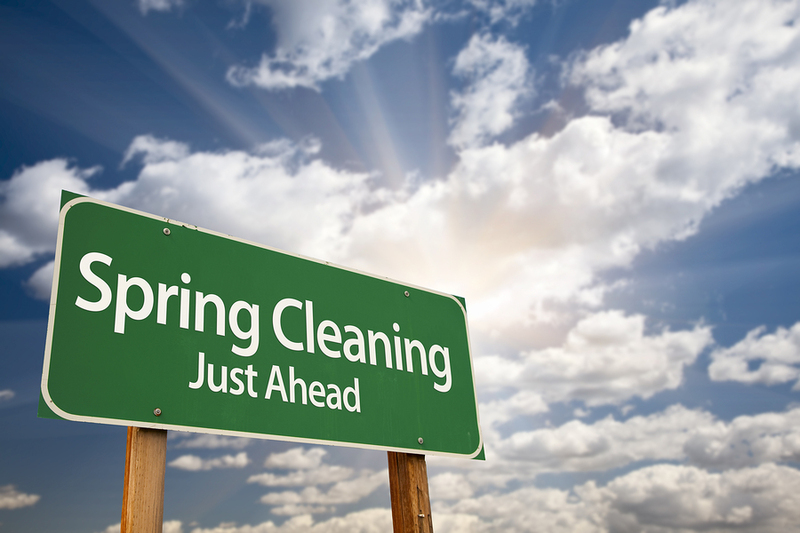 Would you like for your home to be as fresh and clean as Spring feels? Of course, the easiest way to get your home sparkling clean is to hire a professional cleaning service like Sponge & Sparkle to do the heavy lifting. That way you experience all of the benefit and none of the work. Raina and her crew do a fantastic job. I just knew when I spoke to her that I was working with a pro and they delivered in a big way. My house is not just clean. It sparkles! I would recommend these folks to anyone who seriously wants their house clean. They are the best from start to finish. If you’d rather tackle spring cleaning yourself, we’ve rounded up our checklists to take you step-by-step through each room of your home.